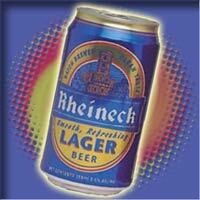 A delicious sparkling refreshing that's better for you. 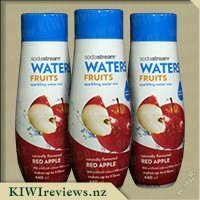 SodaStream Sparkling Goodness is free of preservatives, artificial colours, flavours and sweeteners. Contains 43% reconstituted fruit juice. 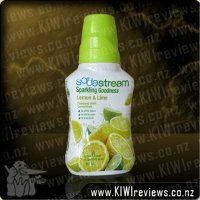 I am a big fan of citrus and I adore the combination of lemon and lime so knew this one was going to be a hit. 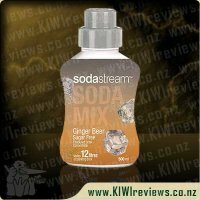 I tossed up whether to buy this or the lemon lime and bitters as they are both flavours that I love to drink in the summer months as citrus is just so refreshing. Well I am glad I bought this one first as I really love it and so does my partner and we have been making a bottle almost everyday which is a little bit naughty but less guilt knowing that it is free from artificial flavours and sweeteners which I love about this particular syrup concentrate. 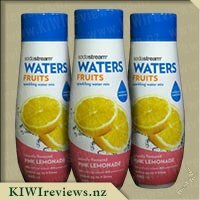 Also good to know that it is made from the actual fruit which means it doesn&apos;t have an artificial taste it tastes just like a home made lemonade with a hint of lime. I make it with a little less fizz than normal as I think it is nice just lightly carbonated as I don&apos;t get the full on gassy hiccups and burps. That just means I only give the machine a couple of bursts rather than letting it get to the loud fart when I do the water. 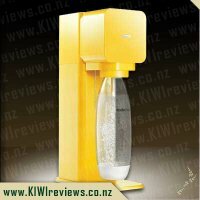 My partner agrees that it is much nicer made with a light fizz and a lot easier to drink so that it does a great job of quenching your thirst. 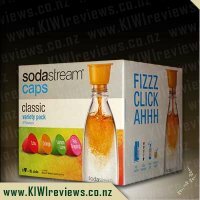 I am loving these soda stream syrups as they are such great value for money normally we wouldn&apos;t drink a lot of flavoured drinks at all so a bottle would last us a very long time as you get a lot of 1 litre bottles of fizzy out of one syrup pack. 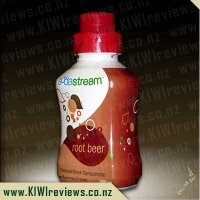 It is definitely a cost saving way of enjoying a cold fizzy drink on a hot day. I think I have made this my new favourite flavour although I still really do want to try others too ,so will try a couple more before coming back to this one again! 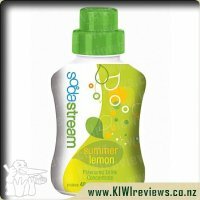 I love a good cool glass of Lemon and Lime during the hot summer months and nothing tops it off than a splash of bitters, so I was excited to try the Sodastream Summer Lemon Lime. Once again and as always (except when you run out of gas), the bottle of Sodastream was quick and easy to make up. I was able to make the mix to my own taste. Now I love the tang of lemon & lime to the extent I have it strong enough to curl your lip. I tried it their way but it wasnt strong enough for me so I made it my way, ahhhhh so much better. I added in my splash of bitters and sat on my deck, watched the ocean and thought yep this is the life. Yes it was this good. What I was really happy about there was no unpleasant after-taste you so often get with other mixes. This is one I will be buying regularly and I can&apos;t wait to sit on the deck and waztch the ocean rolling in, all year round. 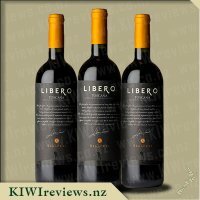 As someone who hasn&apos;t drunk alcohol for several years my favourite drink to unwind with is lemon, lime and bitters. 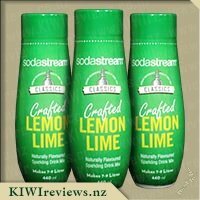 The Soda Stream&apos;s lemon lime is a much more economical way of having it. I find it very refreshing especially on a hot day. If I wish I can add ice or a slice of lemon too. The flavour itself is rather weak but there is no room in the bottle to add extra syrup so I have learnt to have a bit less water in the bottle and it results in a slightly stronger drink which is more to my liking. I like how the sparkling goodness range doesn&apos;t contain the artificial nasties that we have come to accept as part of a fizzy drink. 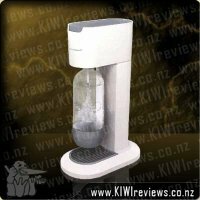 It is less economical than the regular Soda Stream range making just six litres (compared to 12) and costing a couple of dollars more too. If I was buying lemon, lime and bitters in the supermarket it would cost more than other fizzy drinks so I am prepared to pay a bit more. It also makes it a treat more than an everyday drink. Two flavours i have always like in soft drinks lemon and or lime. 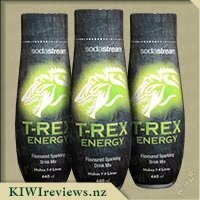 Getting this flavour to try from a friend who didnt like it, i was a little excited over it, was a little wary since she didnt like it but still who am i to say no to free things to try. 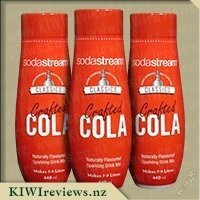 I did have to have a little taste before making it up in a sodastream bottle and it was too tarty for my liking so I was a little worried about putting a cap full into my bottle. 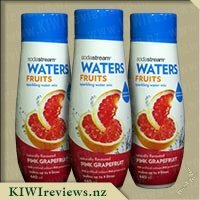 Once i got my water carbonated I popped in a cap full of the syrup and gave it a gentle shake like it says and watched the water change colour slightly. OK OK now I was a little excited to try it. 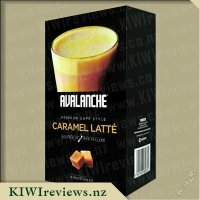 I poured myself a drink and YUMMY, this had a lovely taste to it, not to sweet and not to sour, it was great. Not something i thought it would taste like after tasting the syrup. This syrup has become a favourite in this household my 3 and 4 year old never say no to this flavour. 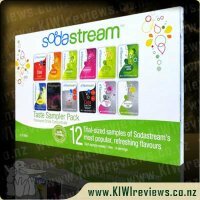 I was SUPER excited when sodastream made a comeback! 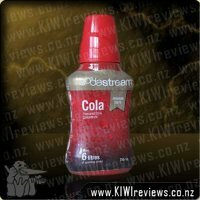 Remember those funky glass bottles from when I was a kid and how we'd ponder over the flavours and then wow we'd be allowed TWO! 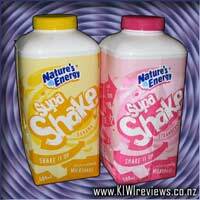 I have many happy memories of this from when i was a kid so happily trotted out and got the whole shibam for the kids at xmas. 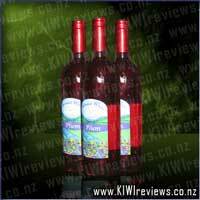 Firstly, flavour: pretty good, we've tried most of them now and can't complain! Sweet and delicious! I personally find you need a little more of the flavour than it says on the bottle, but maybe I'm just a sweet tooth ? Lemon and Lime is often too tart for my tastes, but every now and then I find it handy to have around as either an ingredient in something else (such as one of my Marshmallow Cheesecakes or an icy slushee). If nothing else, the kids seem to like the tart flavours, so I thought this was worth a try. Though I have to admit it wasn't exactly at the top of my list of favoured flavours, this was actually a decent version. 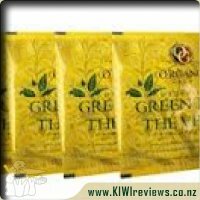 Being free of preservatives, artificial sweeteners, flavours and colours, it's safe for the kids and far better for you than the cheap bottled stuff you buy at the supermarkets. What's more, if sparkling drinks aren't your basket of kittens, this syrup is also great in still drinks. Drizzled over a cup of shaved ice this makes an excellent slushee, and if added to a little water and some gelatine, it actually came out quite nice as a jelly flavour too. On the down-side, it's price about the same as the artificial-laden versions but only makes half the literage. This is because of the natural sugars vs artificial sweeteners... if you pump up the sweetness, you can dilute the syrup more! So, though it isn't as great on the "Value for Money" aspect, the health benefits are, I feel, a valuable trade-off. Overall, a versatile syrup, that will have it's share of those who love it and hate it. 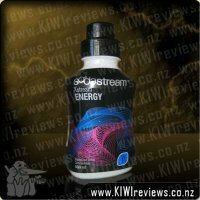 Either way, it's healthier than the pre-bottle fizzies, you can dilute or boost the flavour as you see fit, and with a little creative tinkering you can actually do a lot with it. For me, it's a winner... just not first-place for me personally. Just what it sounds like - our classic Americano with a more intense bite! 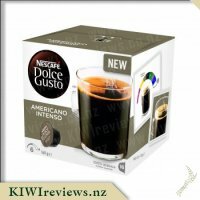 Created with ground Arabica coffee, delightfully bold and full-bodied, this well-balanced but never overpowering NESCAFE Dolce Gusto creation is made to deliver a great long black.